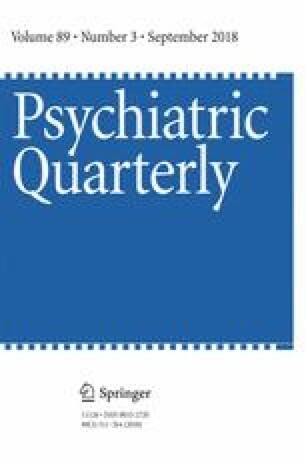 The construct of dysphoria has been described inconsistently across a broad range of psychopathology. The term has been used to refer to an irritable state of discontent, but is also thought to incorporate anger, resentment and nonspecific symptoms associated with anxiety and depression, such as tension and unhappiness. The Nepean Dysphoria Scale has been developed to allow assessment of dysphoria, but its factor structure has not yet been investigated in clinical samples. We aimed to determine the latent structure of dysphoria as reflected by the Nepean Dysphoria Scale, using a clinical sample. Adults (N = 206) seeking treatment at a range of mental health services were administered the Nepean Dysphoria Scale. Four putative factor structures were investigated using confirmatory factor analysis: a single-factor model, a hierarchical model, a bifactor model and a four-factor model as identified in previous studies. No model fit the data except for a four-factor model when a revised 22-item version of the original 24-item scale was investigated. A four-factor structure similar to that identified in non-clinical samples was supported, albeit following the removal of two items. The Nepean Dysphoria Scale appears to have utility for the assessment of dysphoria in routine clinical settings. Dominic Hilbrink, Laura Hardaker, Clare Russell-Williams, Rachel Kiely and all of the allied health staff at St John of God Health Care Richmond Hospital are thanked for their assistance with participant recruitment. Brian Skepper and Erin Dale of the Nepean Anxiety Disorders Clinic also assisted with participant recruitment. This research was supported by a Defence Health Foundation Grant awarded to the first and last authors (DB & ZS). All procedures involving human participants were in accordance with the ethical standards of the institutional and/or national research committee and with the 1964 Helsinki declaration. The study was approved by the Nepean Blue Mountains Local Health District Human Research Ethics Committee (Ref 07/068–07/NEPEAN/14) and the St John of God Health Care Human Research Ethics Committee (Ref: 839).